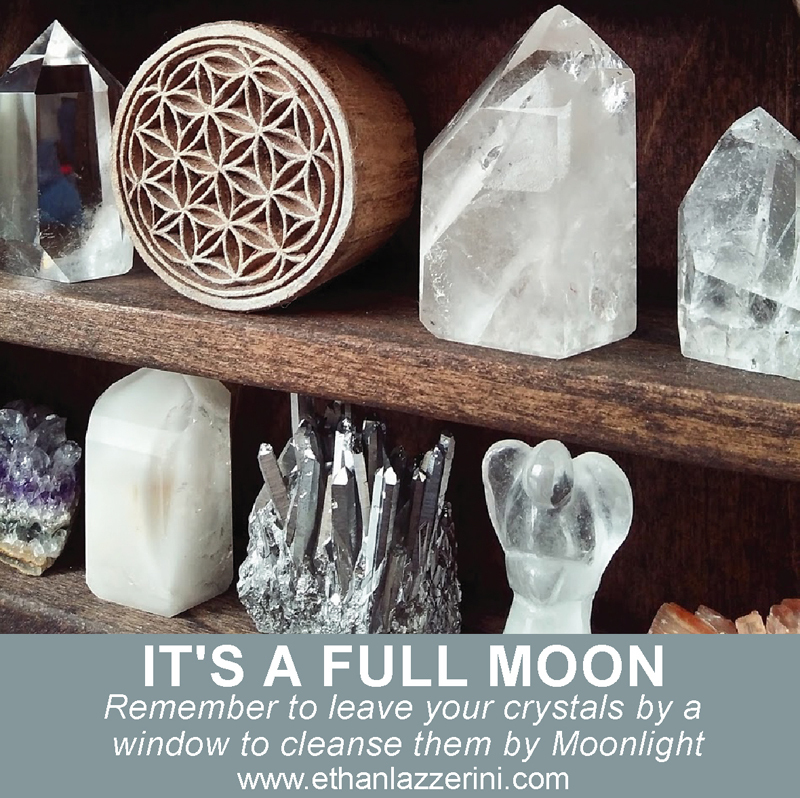 Learn how to cleanse crystals by the Full Moon. Discover how and why Moonlight works and what the pros and cons are of using the lunar energy of the Moon. Cleansing crystals with the Moon has become an increasingly popular method for people working with crystals. Many of you who read How To Cleanse Crystals Safely asked me to go into more detail on this method and I hope it will answer your questions. Most ancient traditions saw the Moon as sacred and it is commonly seen as having a feminine energy. It is hard not to look up at the moon when it is in the night’s sky. The light of the Moon is gentle, healing yet purifying. In Astrology the Moon rules the psychic and hidden worlds, the subconscious mind and our emotions. 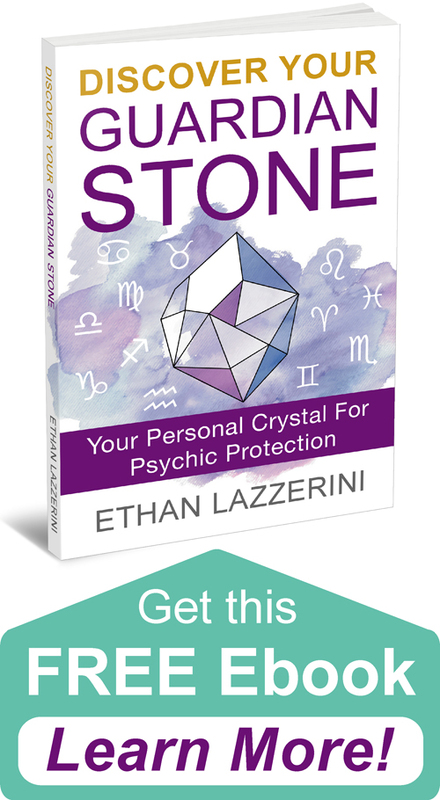 The negative energies that can build up inside our crystals are spiritual, hidden from our physical eyes and often come from People’s emotions. That’s why the Moon can be used as the it rules these areas. 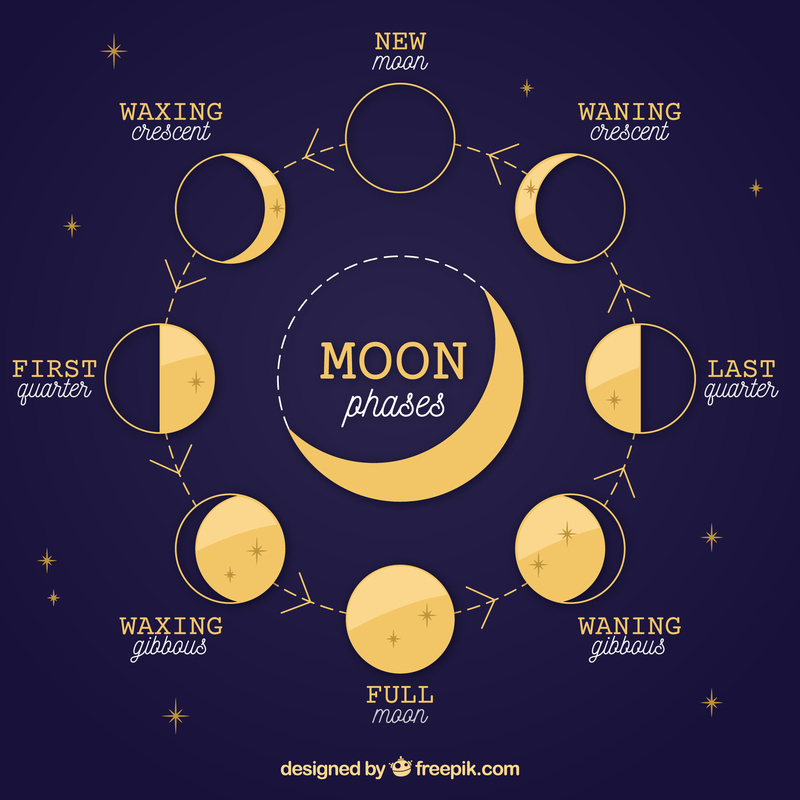 I am often asked about the phases of the Moon and if you really need to wait for the Full Moon. All the phases have their own meanings and energies. Although you could try these, most people agree that the Full Moon is the best for cleansing. When the Moon is full it is at maximum power. The Full Moon usually only lasts one day and this occurs about once a month or every 29 days. Some people will also cleanse their crystals in the days leading up to the Full Moon. This is the Waxing Gibbous Phase, where the Moonlight and energy is growing (See the Moon Phase Chart below). Some calendars show the Full Moon days and many websites also supply this information. Just keep in mind that Full Moon timings vary by your geographical location so an American calendar is not accurate in Europe for example. That’s why I like to use an app by Delux Moon for accuracy, their website also shows the current Moon phase based on your location. It’s free to use too. 3. Always remove all the crystals first thing in the morning. Q: What if the sky is not clear that night? A: This is the most common question people have with cleansing by moonlight. Ideally a clear view of the moon is best but if it is overcast then the energy of the moon will still reach your crystals through the clouds. Q: What if the Moon is not visible from any window? A: If you have an apartment and the Full Moon is not visible from any of your windows then that is okay. The energy will still reach your crystals. Otherwise try using an outdoor space instead. Do you have any crystal Moon bathing tips to share? I would love to hear from you in the comments below (Please keep any questions you have on topic if you want a response). I read that brown rice or Himalayan salt can be used for cleansing your gems also? Is this safe for the crystals? It depends on how the salt is used. It is corrosive to some minerals and metals, especially if wet. Placing next to a chunk of Himalayan Salt might be okay. I have heard of people using brown rice but have not tried it. My question is what happens to the rice? Thow it out? There are so many easy and quick ways to cleanse crystals that I would use. Ethan, you are such a blessing! 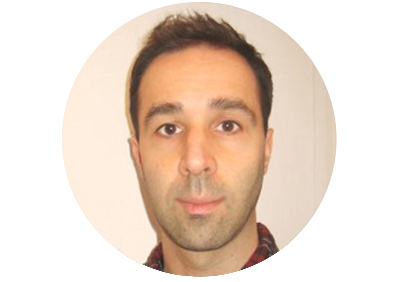 You are smart and generous, not everyone shares knowledge so freely. I wish to have the money to buy all your books. One day soon!! 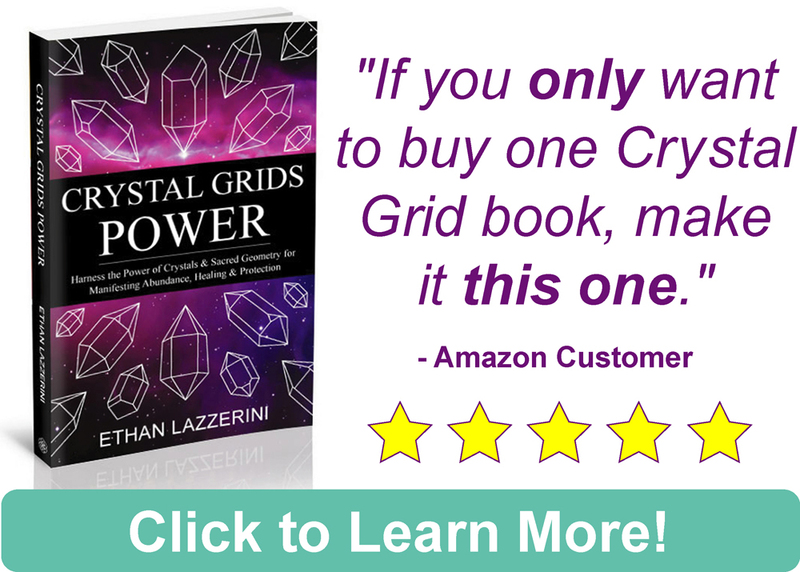 What crystal rituals are good for Urgent prosperity? Anyway, I feel prosperous already just knowing that you care to sent us the Knowledge of the Crystal.